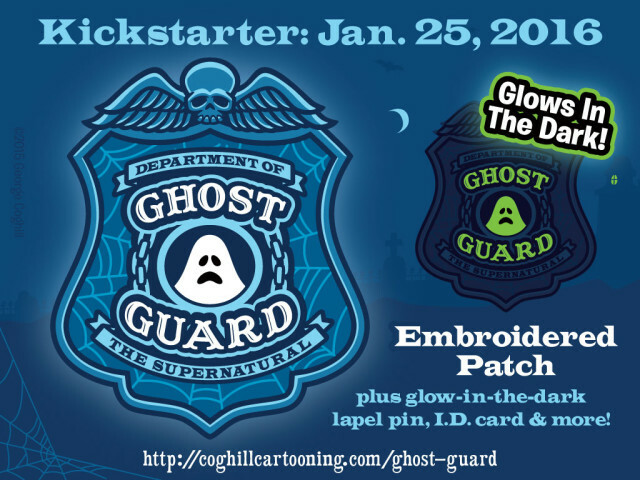 “Ghost Guard” Glow-in-the-Dark Embroidered Patch Kickstarter Campaign: Launched! Now live on Kickstarter: the “Ghost Guard“ glow-in-the-dark embroidered patch, lapel pin and I.D. card campaign with reward levels that include original art, limited edition item sets and Kickstarter-only exclusives!